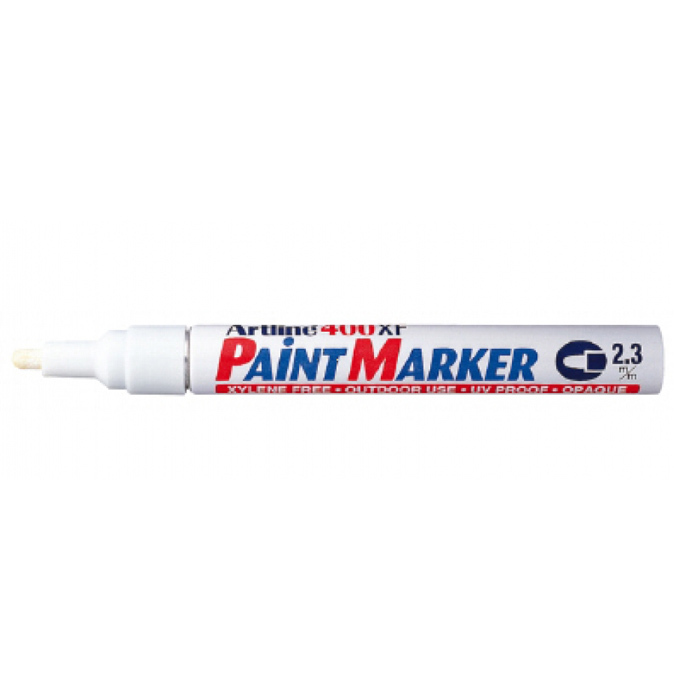 Artline For marking and lettering where durability and outdoor use are important. Suitable for use on difficult materials such as metal, plastic, glass, rubber, etc. Extra ink coverage. Very quick-drying. Round tip, diam. 2 mm. Does not contain xylene. It lasts up to 260 ° C, white.